- Christopher Saunders is Bishop of Broome and Chair of the Australian Catholic Social Justice Council. The Australian Rules and Rugby League seasons are at their climax – the Grand Finals. All this season the sports pages have featured names like Inglis, Thurston, Soward and Thaiday in League, and Goodes, Franklin, Wingard and Ryder in AFL. All these men can claim Indigenous heritage. They and many like them remind us of the enormous contribution that Indigenous people have made to Australian sports. Think beyond those two football codes and we can conjure with names like Cathy Freeman, Nova Peris, Kurtley Beale and countless others. A community that has suffered the greatest injustices and is among the most marginalised has given Australian sports fans some of their most inspiring moments. Some, like Adam Goodes or Cathy Freeman, have built on those sporting triumphs to inspire and mentor young Indigenous people seeking their place in our society. Sport builds communities and can open doors for those who might be on the margins of our society. Sport is a national obsession: no news report, however brief, is complete without the results from the footy, the tennis, the golf. It brings us together. That national obsession is a mirror that shows us both the best and the worst in us. At its best, sport offers us the joy of movement and skill, it builds communities and teaches us what can come from perseverance, resilience and teamwork. The Indigenous sporting heroes I mention are not the only great stories. In Brisbane in the early 2000s, a group of young mostly Muslim Hazara men from Afghanistan formed a soccer club called the Tigers 11. They still compete in a Christian church soccer competition and have been transformational in breaking down suspicion and prejudice in local communities. Father Peter Day tells about the Matthew Talbot Cricket Club, made up of homeless men who, for the first time in years, were suddenly given a reason to get out of bed. The team made the grand final in their league. Alongside those stories are the everyday stories of volunteers – coaches, administrators and mums and dads looking after the barbecues – who contribute in a small way to the adventure of suburban sport in Australia. There are over two million volunteers and around 26,000 local sporting clubs bringing people together, supporting and being supported by their communities. But sport as a mirror can show us the worst in our community – an image that is ugly and often unjust. It shows us abuse and violence on-field and off; it shows us greed and opportunism intruding into a community good; and it shows sport transformed into a megaphone for racism and sexism. We have to confront the moments of disillusion: the parent on the sidelines bullying players and officials, or the sporting hero embroiled in scandals of abuse, drugs or alcohol. We have to be deeply worried about the growing influence of sports gambling and performance enhancing drugs, and the openings these present for criminal involvement and corruption. The bishops’ Statement calls on all levels of society to safeguard sport from the forces that undermine its integrity. Sport needs to be protected for its own sake and for what it offers society. In good sport, everyone is a winner. In a strong team, everyone can make their contribution. A Crown for Australia was launched on 17 September by AFL hero Kevin Sheedy and journalist and author Geraldine Doogue. Later that day, in England, a team of priests and seminarians from the Vatican were facing up to the Royal Household’s XI at Windsor, followed two days later by the Archbishop of Canterbury’s XI in Canterbury. In part, the Vatican team is inspired by Pope Francis, who saw and shared sport’s magical hold on a football-mad Argentina. In a speech to the Argentine and Italian football teams, Francis spoke of sports transforming power – its “beauty, comradeship and generosity”. This year, Australia’s Catholic bishops want to celebrate the good that sport brings, and join in preserving and nurturing it against the forces that would undermine its ideals. 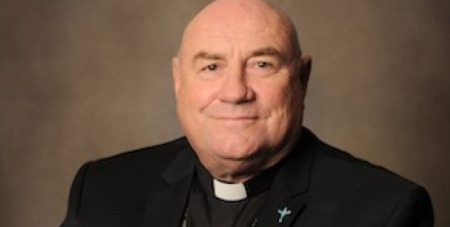 Christopher Saunders is Bishop of Broome and Chair of the Australian Catholic Social Justice Council.